In addition to the 'Winter Antiques Show', another long-standing event on the January fairs scene in the Big Apple is the 'New York Ceramics & Glass Fair', which celebrates its 19th staging this year. 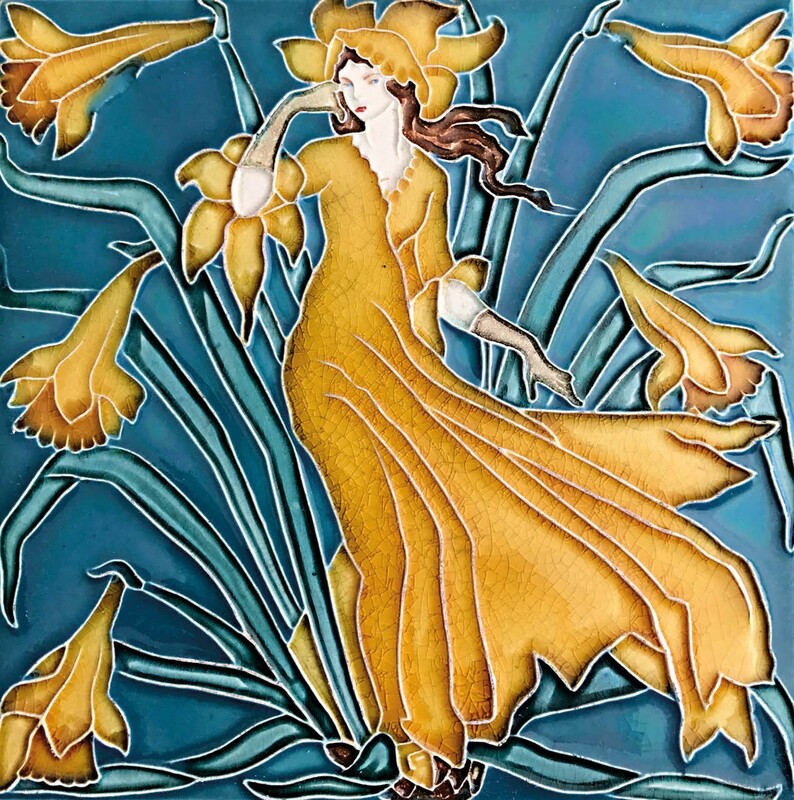 This Pilkington’s Royal Lancastrian 'Daffodil' tile of c.1900-01, measuring 6in (15cm) square, has a press-moulded and painted design by Walter Crane. It will be shown by the US dealer Polka Dot Antiques at the 'New York Ceramics & Glass Fair'. Held at the Bohemian National Hall on East 73rd Street, it runs from January 18-21 for general admission, with a January 17 preview. The fair features 30 exhibitors from the US, the UK, other European countries and Israel, showing a mix of antique and contemporary ceramics. The fair is accompanied by a specialist lecture programme and two loan exhibitions. One displays newly discovered 18th century slipware uncovered from archaeological excavations in Philadelphia on the site of the city’s new Museum of the American Revolution. The other loan display is devoted to contemporary ceramics created by artists in response to historic exhibits in the collection of the Frick, Pittsburgh. Also on show at the same time (open to the public from January 19-21 with a January 18 private view), is the 26th edition of The Outsider Art Fair dedicated to work by self-taught artists, outsider art and art brut, as it was first termed by Jean Dubuffet. Staged at The Metropolitan Pavilion on West 18th Street, it will feature 63 participating galleries from countries ranging from China, Korea and Japan to Europe, as well as numerous US exhibitors.